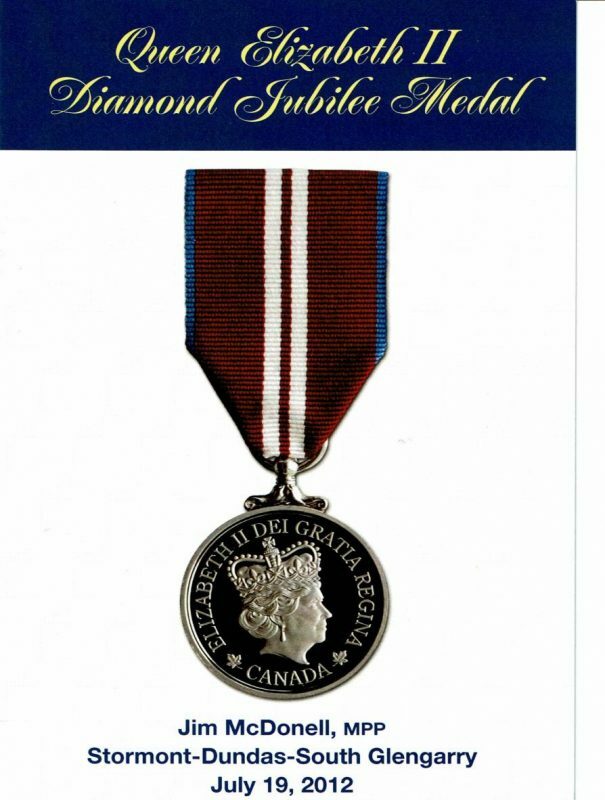 The Queen Elizabeth II Diamond Jubilee Medals were given to 14 very deserving individuals on July 19th, 2012. I found the program for the evening recently. Awarded were Gerry Benson, Vera Joyce, Gail Kaneb, Hugh A. MacDougall, Don Mitchell, Susan Rainey, Onagh Ross, William Shearing, Gary Stokes, Lorne Strader, Stan and Betty Vandenbosch, Johnny C. Whittaker and my late brother Richard ‘Sonny’ Herrington. It was hosted by MPP Jim McDonell and as I remember, it was a wonderful evening. Inside the program was a copy of the application I had sent in to have a medal presented posthumously for the late Dorris Turner, widow of the late Bob Turner. I had sent it to MP Guy Lauzon’s office where the staff very kindly sent it on to Ottawa for me. But it didn’t happen. Dorris was not given a medal. I couldn’t believe it at the time. It was so disappointing. I know there were probably a lot of other wonderful deserving volunteers in our community who didn’t receive one either. I had been on committees with Dorris and knew how hard she had worked so tirelessly for people with disabilities in our community for many years. I had first met her when Bob was ill in hospital and later again in the mid 80’s and that was for me a life changing event. I joined some of her committees. She had me so busy that I jokingly told her I would have to quit my day job if she had any more ideas for me to work on. 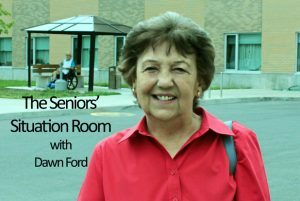 She was instrumental in getting the Handi-Transit for our Cornwall Community. Even today, if I meet someone who was in the Handicapped Club (now Handi-Social) when Dorris was President, they tell me how much they loved her. She treated them like they were her family. We all loved her and appreciated so much her devotion and dedicated work. And today we are still wondering what is going to happen to the honouring of Bob Turner. A lot of time has gone by since the demolition of the Bob Turner Memorial Center and there have been suggestions of how to honour him but no action. I wrote about my one and only meeting with him in my 18thcolumn of Sept.23, 2013. I met him while on duty on the Pediatric Ward at the CGH in 1962, the evening before his surgery. He was in the play room with a few parents and sick kids who were playing with their toys. He introduced himself to me and told me of his surgery booked for the next morning. I never forgot how impressed I was with him. Bob did not survive after being ill for some days and died at age 35. 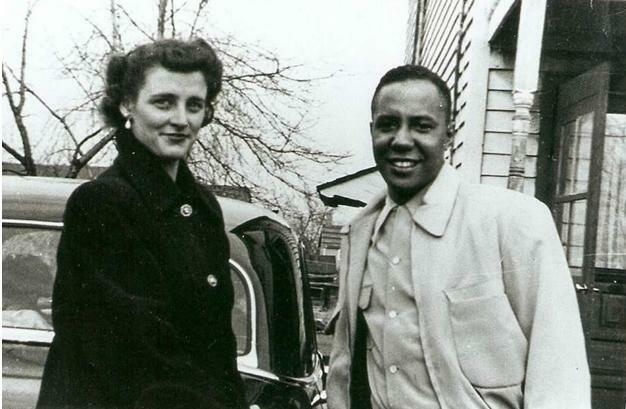 His wife Dorris was left a widow with two precious young daughters, Phyllis and Joy. The Cornwall Recreation Centre which he, as Recreational Director, had been largely responsible for opening in 1961 was re-named the Bob Turner Memorial Centre in his honour. I mentioned in my column that every time I went skating in the centre and saw the bust of Bob Turner in the hall, I thought of how he had spent some happy memories before he had become so ill, watching the children play in the playroom on our Pediatric Ward and, hearing their laughter, his face lit up with joy. Here is a very old postcard from the family album, year unknown. It was not used and says on the back: Post Card Made in Canada, correspondence one side and address on the other. 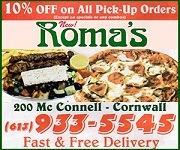 The place for the stamp does not indicate the cost. 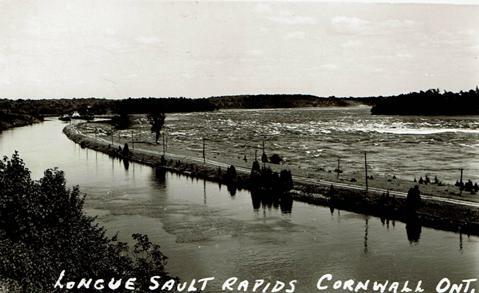 Beautiful old rapids we loved. Imagine the tourist attraction today if we still had them!!! Bernadette Clement will be co- host with Tran Cappuccino. 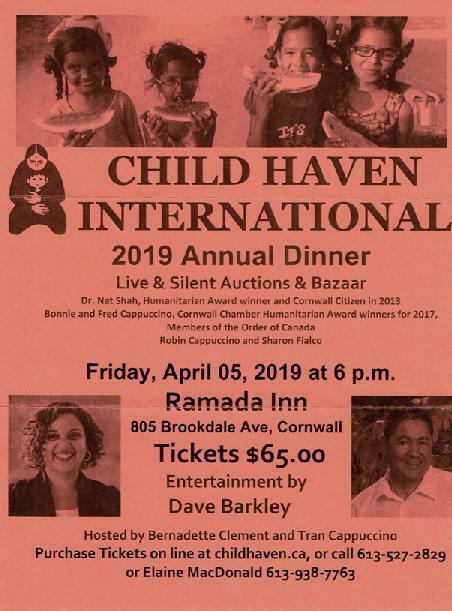 Child Haven International was co-founded in 1985 by Dr. Nat Shah and Fred Cappuccino to provide shelter, education and loving care to children in homes in India, Tibet in China, Bangladesh and Nepal. They also provide aid and shelter to some senior and destitute women and provide education for some children not living in one of their homes. Lead cups were used to drink ale and whiskey. The combination would sometimes knock the imbibers out for a couple of days. Someone walking along the road would take them for dead and prepare them for burial. They were laid out on the kitchen table for a couple of days and the family would gather round and eat and drink and wait to see if they would wake up. Hence the custom of ‘holding a wake’. The Solterra Co-Housing is another alternative for seniors who want to still own and live in a house, according to their website ( http://solterraco-housing.com/what-is-co-housing/) From what I read it seems that a few people could get together, buy a house as co-owners and enjoy living there instead of senior apartments, retirement homes, etc. It states that each owner would have their own private bedroom, sitting room with en suite. Common areas of the house could include shared amenities such as a kitchen, dining room, workshops, guest rooms, home office, arts and crafts area, laundry and/or more depending on how the house is designed. Go to their web site for more information. This Tiger cat is going to drive me to drink!!!! I saw him the other day dipping his paw into his drinking waterbowl, then licking his paw. Then he did the other paw and licked it also. Why?? I try to keep everything clean and fur-free for him and he washes his paw in his drinking bowl???!!! – I guess that was what he was doing…or getting his water that way…who knows? I ran to get my camera but he was finished. Then yesterday he was lying down by the bowl with one paw in the dish and then licking it. Then he licked the side of the dish, got up and licked the water he had spilled on the floor. Have to ask the Vet if he knows what this cat is doing….although, who knows??? Do cats get senile?? He is age 15+. Going to keep my camera little handier just in case he does it again. Pass the wine, please!! However, while working as a student nurse, I found one elderly gentleman already dressed and sitting on the bed with a suitcase at his feet, who insisted he didn’t need my help to leave the hospital.